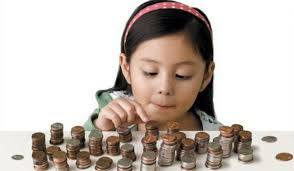 Set a good example when comes to money habits, and you’ll raise financially responsible kids. Here’s how. Financial secrecy in households breeds money fears and misconceptions. When your children are young, engage them in age-appropriate conversations about money. As they mature, you can provide them with more detailed information about your family’s finances. Children should be required to do basic chores such as cleaning their rooms and washing dishes. After basic chores have been completed, you can offer them the opportunity to earn extra money by completing additional tasks. Encourage teenagers to find a summer jobs. Other things they can do to earn money are wash cars, mow lawns, walk neighbors’ dogs and provide sitter services. “Many people get into financial trouble because they do not know how to patiently wait until they save enough money to buy the things they want.” You hit the nail on its head! Than you for sharing these things! Truly, it should come from us, and we should model it to our kids. One of the hardest lessons to teach any child is how to be patient and wait… For anything. Be it a snack or a new toy on their birthday. Fortunately as adults, when we want something we can simply call up our bank and get a loan or stick it on a credit card and worry about it later. But how better off (and happier) would we be if this was not the case, if we didn’t have things so easy? Perhaps the lessons we teach to our children we should apply ourselves!